When starting a blog it can become overwhelming (and pricey) with the number of resources available. I’ve listed below the top blog resources I use for Organize Yourself Skinny and Big Boss Moves. These are services I use daily to keep my blog running smoothly and profitable. The single most important thing you can do for your blog is to create an email list. Like many professional bloggers, I didn’t take my email list-building seriously until a year or so ago. What a mistake that was! Since building my list, and sending regular emails, I’ve been able to grow my income by leaps and bounds. I will talk more about these strategies in future blog posts, for now I just want to talk about email service providers. Since starting my blog I’ve used Feedblitz, Aweber, Constant Contact, and Convertkit. Hands down, without a doubt, Convertkit is the best. 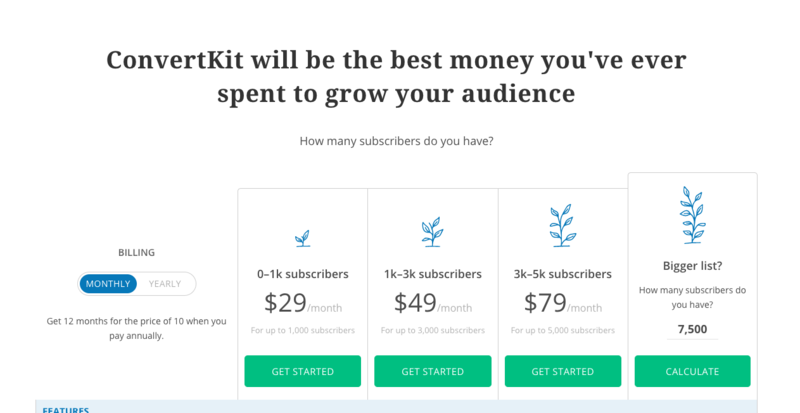 In my experience, Convertkit is easy to use and has all the functionality needed to connect with readers. I use it to send simple weekly emails. I’ve ran an email campaign, for the launch of the Organize Yourself Skinny ecourse, with ease. Which by the way 99% of the money I made from my ecourse came from my email list. To put this in perspective my ecourse has made just under 80k in sales and I have 21k email subscribers. When you hear the saying “the money is in the list” believe it. All my content upgrades (free ebooks and PDFs) are stored and delivered with ease to my readers. I wasn’t able to do this with any of my other email services providers. Honestly, switching to Convertkit was a huge game changer for my business. 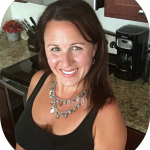 Alright, let’s chat about social media – it can be a beast! When I first started, I didn’t use any type of scheduler. It wasn’t the end of the world, but it certainly took a lot of time. Do I think you absolutely need to use a scheduler right away? It depends. If you can afford it then I say do it, I wish I started scheduling sooner because it saved a ton of time. However, if it’s not in the budget then I say wait because you can still work social media without it. Again, there are numerous schedulers available but these are the two I use in my businesses so this what I recommend. Prior to Coschedule, I scheduled ALL OF MY Facebook posts right in Facebook. Honestly, I don’t even know how I did that or kept track of anything. Now I use Coschedule. I use it primarily for Facebook but you can use it for Twitter, Pinterest, and Linkedin. Here’s an example of my Facebook scheduling calendar. 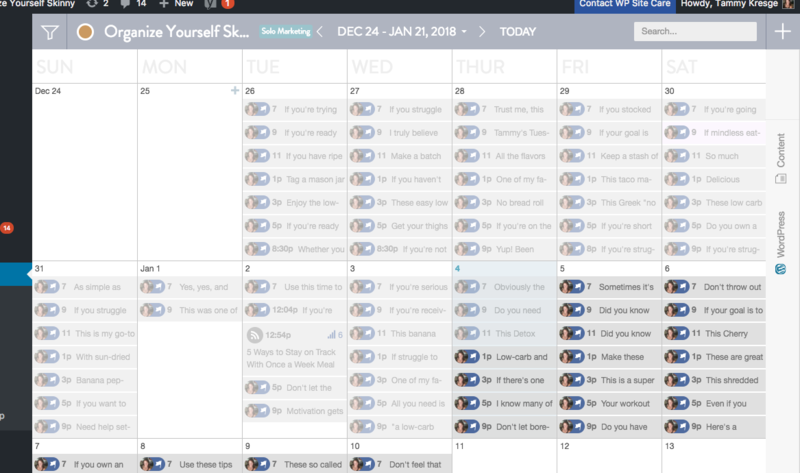 Coschedule, let’s me see my scheduling calendar at a glance, keeps track of how often I share a post, and includes metrics on the amount of times a post was shared. They also allow me to create labels for posts to make scheduling easier. Using all the features of Coschedule I’ve been able to create a social media strategy that works. Tailwind has been a godsend with my Pinterest strategy. Prior to Tailwind I barely shared my content on Pinterest, I know bad! But it was super time consuming to manually pin all my posts. With Tailwind I can schedule all my pins ahead of time. There are other perks too. For example, you can organize boards into groups for easier pinning. Also, Tailwind will let you know when the last time it was you pinned a pin. They also have sharing tribes and other ways to grow your Pinterest reach. I’ve found it very useful in my business. Other bloggers use Board Booster (and really like it) but I’ve never used that service so I can’t speak to it. Regardless, having a Pinterest presence and strategy is very important to a successful blog. Many new blogs find success solely because of Pinterest so I wouldn’t ignore it. If you can’t manually pin on a regular basis then I would sign up for a scheduler. These are the top resources I use for my blog. I will update this page as needed with other resources I feel would be helpful to someone starting a blog.